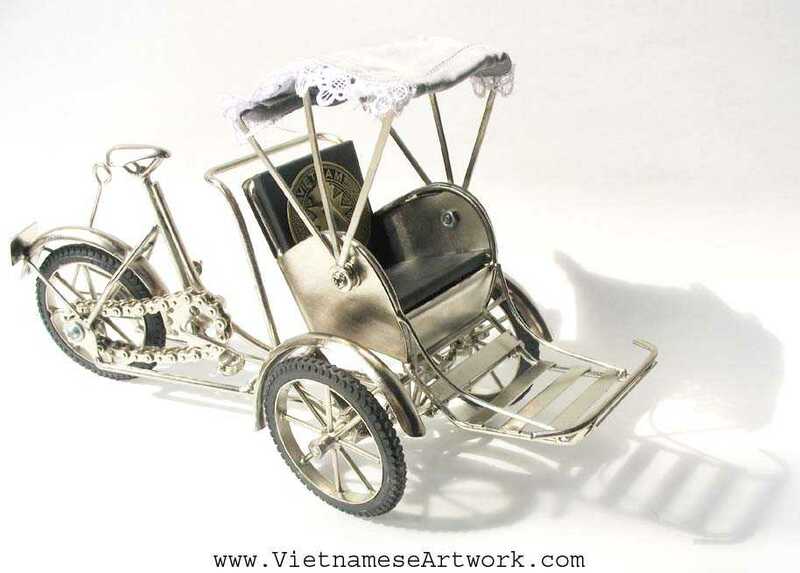 White cyclo with gray cover "Xich-Lo" old vietnamese transport vehilce. This vehicle has the same function (move forward, turn left and right) like a real one. 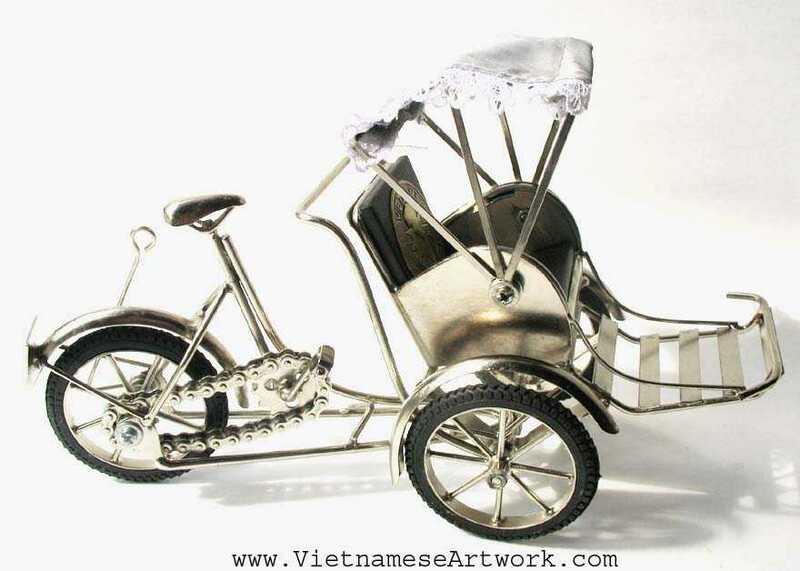 Hand made in Vietnam by steel.